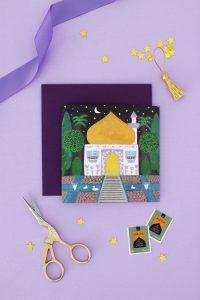 Ramadan Yogurt Bark Recipe – Hello Holy Days! 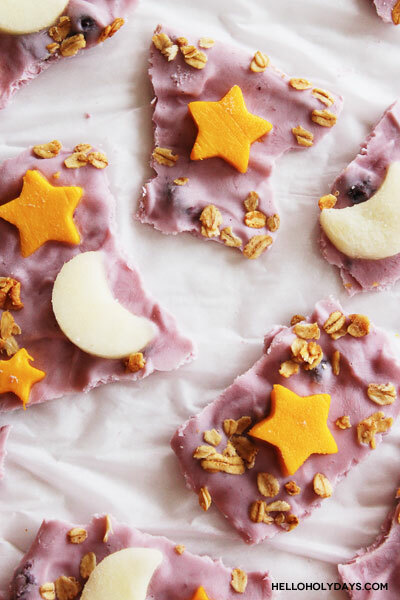 If you’re short on time and don’t have time to freeze this recipe to make a yogurt bark, you can also serve blueberry yogurt in a bowl with fruit moons and stars arranged on top with some oats. 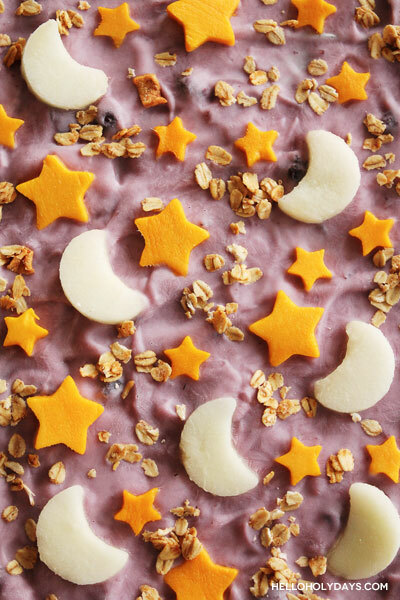 Since I’ve opted for a healthy version of this recipe, I’ve stuck only to yogurt, fruits and oats but you can also customize with other toppings such as chocolate and sprinkles as well. 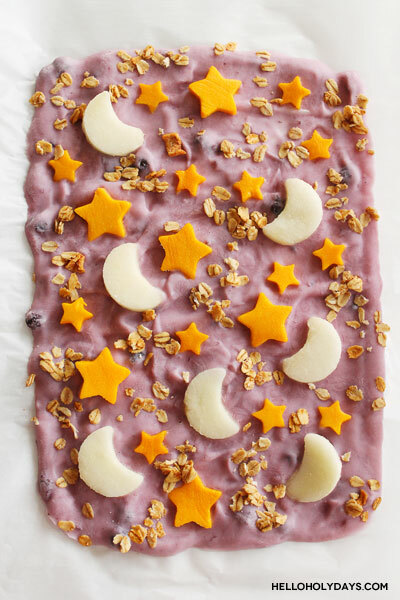 What purple, yellow and white foods would you like to put on your Ramadan yogurt bark? 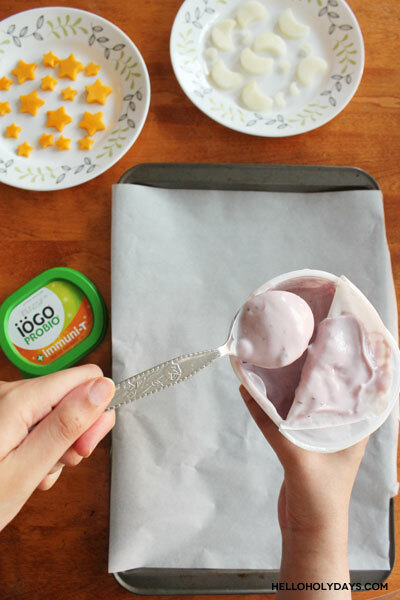 Gelatine-free blueberry yogurt (I’m using Iogo Probio). 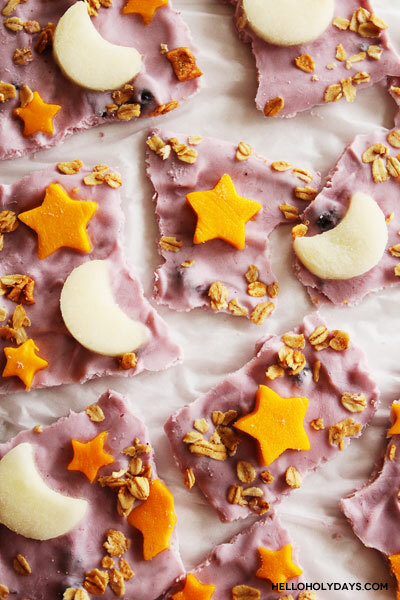 On your baking sheet lined with parchment paper, dollop spoonfuls of the blueberry yogurt and spread with the back of the spoon. 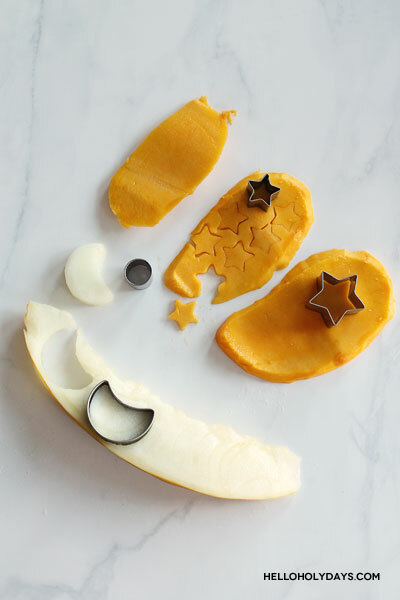 Add your toppings to the yogurt and freeze till set. 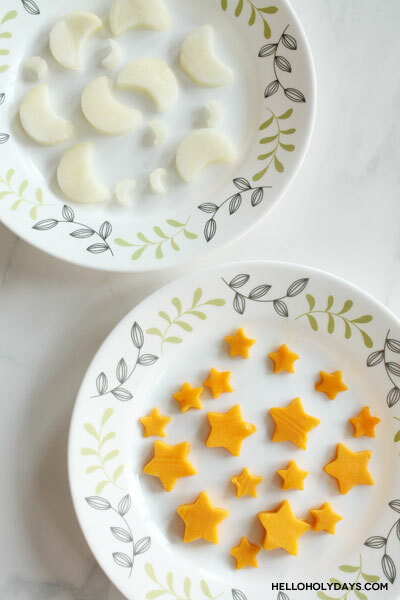 The yogurt should easily peel off from the parchment paper once it’s set. This is what the yogurt looks like once’s it removed from the freezer.